Stand mixer, or alternatively a whisk if you don’t have a stand mixer available. 1 oven dish tray of about 30 cm by 20 cm. Add the cream into a (stand mixer) bowl, add 75 grams of white caster sugar. Whip until almost stiff. Add the egg yolk into a different bowl and also add 25 grams of refined sugar. Whisk for about 5 minutes until the mixture becomes creamy. ADD the mascarpone and mix again until smooth. Lightly fold in the whipping cream into the egg yolk mixture, until smooth. Stir the coffee liqueur and espresso in a small bowl until nicely blended together. One by one dip the ladyfingers into the coffee liqueur and espresso and arrange them (coffee-side up) into the oven dish. Spread half of the mascarpone mixture over the ladyfingers. Repeat above step once more with the rest of the ladyfingers and mascarpone. 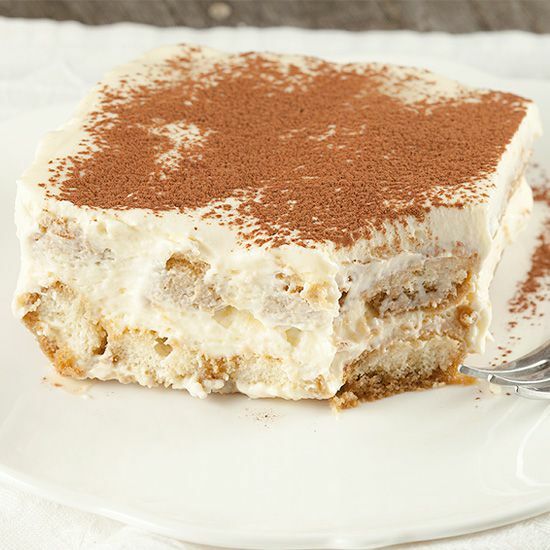 Put the tiramisu into the refrigerator for at least 1 hour, preferably 2 hours before serving. 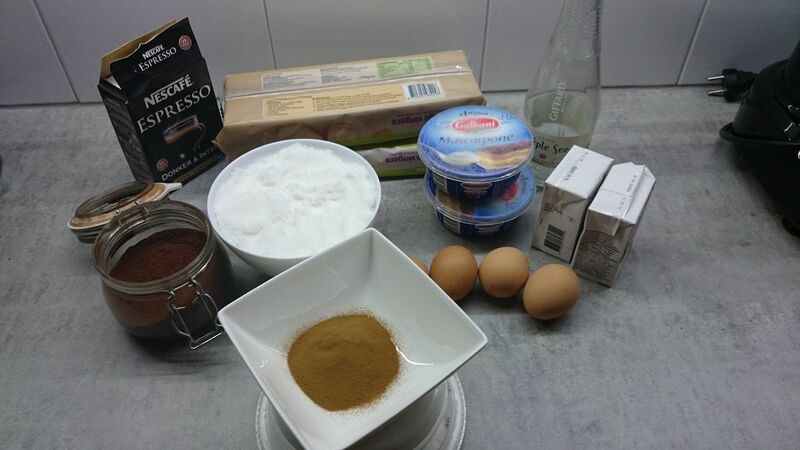 Remove the tiramisu shortly before serving and sprinkle royally with cocoa powder. Be sure to cover all the white parts on the top. 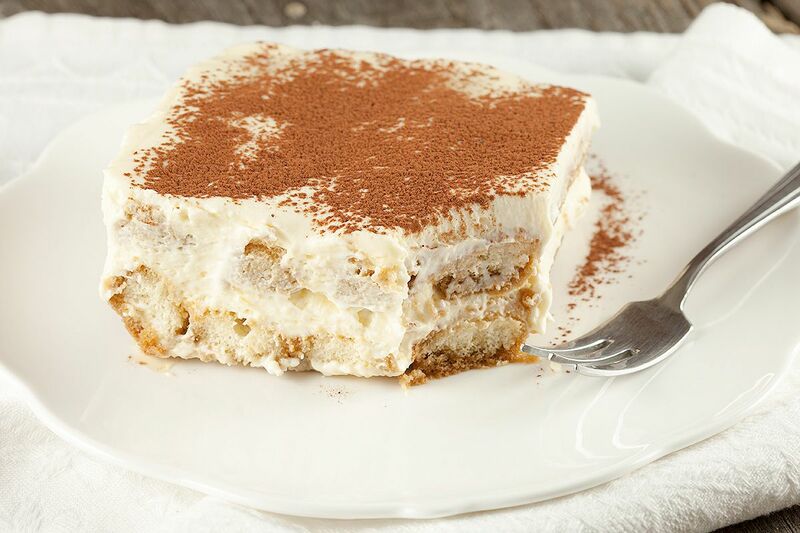 Preparation tip: You can make the tiramisu one day beforehand, this will improve the flavor greatly! 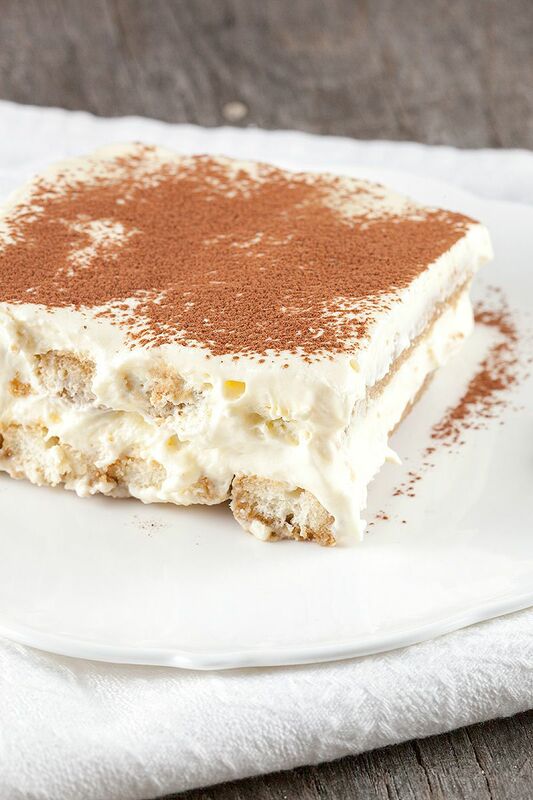 Do not sprinkle with cocoa powder just yet, wait until you’re ready to serve this delicious tiramisu! Since you didn’t use the egg whites in the recipe, I wonder if it might be a good idea to modify the ingredients list to reflect that. Otherwise someone might think the recipe instructions missed out on where to use them. Great tip, we will revise the recipe soon!